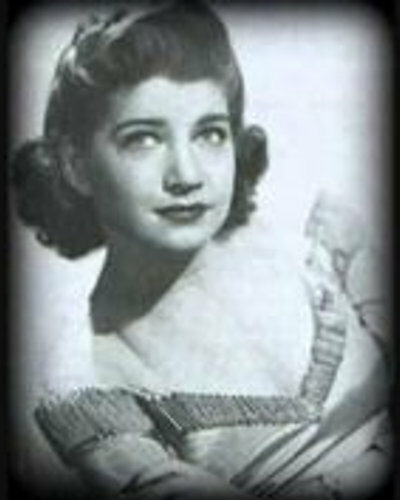 Singer Lillian Lane appeared with Claude Thornhill’s orchestra in 1941 and 1942, where she sang both solo and as a member of the Snowflakes vocal group, which was an amalgam of all four Thornhill vocalists. 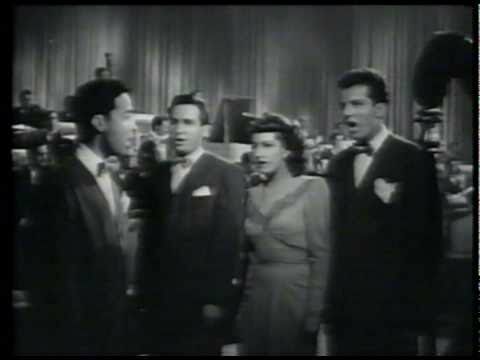 She appeared with the band in a 1942 soundie, titled America, I Love You, released by Minoco. In December 1942, Lane replaced Anita Boyer in Jerry Wald’s band. She stayed with Wald until at least February 1943. By June of that year, she had become a member of George Olsen’s orchestra. Lane joined Gene Krupa’s new band in July 1944. She sang both solo and backed by a vocal group, Her Escorts. She left Krupa in 1945 for Artie Shaw, being replaced in Krupa’s band by Anita O’Day. In January 1946, reports in the same week named Lane as joining Tony Pastor’s band as well as Tex Beneke’s Glenn Miller orchestra. It was with Beneke she sang for most of 1946 however, appearing in two musical shorts with the band, She left the group in November to go back to Shaw. In early 1947, Lane sang with Benny Goodman, recording “I Want To Be Loved.” Later that year, she became a member of Bill Milner’s new orchestra, recording with them as well. She also signed as a solo artist to the Hucksters label. In 1948, she recorded with the Page Cavanaugh Trio on Victor. “Phil Spitalny.” IMDb. Accessed 13 Nov. 2015. “On the Records.” Billboard 10 Jan. 1942: 66. “Vaudeville Reviews: Earle, Philadelphia.” Billboard 24 Jan. 1942: 22. “Movie Machine Reviews.” Billboard 18 Apr. 1942: 78. “Geo. Olsen Coming to Vogue Terrace.” Pittsburgh Post-Gazette 16 Sep. 1943: n.p. “New Krupa Ork Hits 31G in Hot First Date at Boston.” Billboard 22 Jul. 1944: 28. “Music As Written.” Billboard 26 May 1945: 20. “26G Monthly Nut.” Billboard 19 Jan. 1946: 35. “Music As Written.” Billboard 16 Nov. 1946: 32. “Advanced Record Releases.” Billboard 31 May 1946: 34. “West Coast Activity.” Billboard 25 Oct. 1947: 34. “Hucksters Revived.” Billboard 29 Nov. 1947: 34. “Advanced Record Releases.” Billboard 14 Aug. 1948: 34.